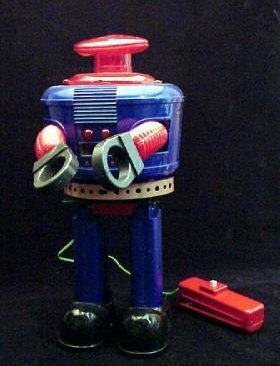 Lost in Space Robot, a fun home made garage Robot. 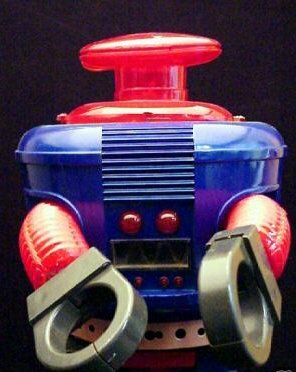 15" high plastic body, runs on a battery two D-Cell remote control. Walks forward with light inside chest. A very large display. Made in Mexico by a car designer!